For yet another epic collaboration, luxury Swiss watch manufacturer Hublot launched the Big Bang Meca-10 Nicky Jam with the reggaeton superstar, during Art Basel Miami Beach. Available in three versions, the Hublot brand ambassador’s watch was debuted in typical sensational Hublot fashion, with an intimate dinner for VIPs, followed by a private concert from the Latin sensation himself, at the Temple House in Miami. First becoming a brand ambassador this summer, the synergies between Nicky and Hublot make sense, as they are both powerhouses in their respective fields. Nicky is one of the biggest reggaeton superstars in the world, with hits like 2015’s chart-topper “El Perdon,” “X (Equis)” and “Live It Up” with Will Smith and Era Istrefi—the official song of the 2018 FIFA World Cup in Russia, where Hublot was also the official timekeeper. The watch comes in three different versions. 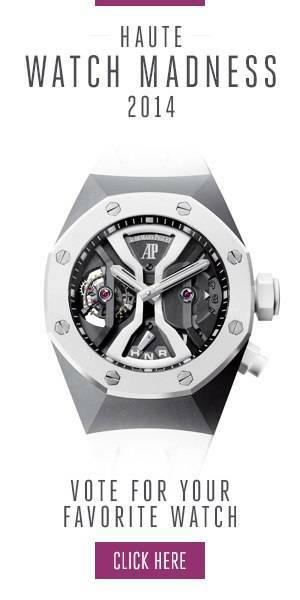 All have a 45mm diameter and are powered by HUB1201 manufacture caliber and a 10-day power reserve. It is also skeletonized and gold-plated. Additionally, it features Hublot’s black ceramic case and bezel, while the dial touts the singer’s logo with his initials—NJ—at 12 o’clock, and his hand-written signature on the back, affixed on the glass so the watch movement is visible. The second version has gold coloring—one of Nicky’s favorites—with a case, bezel and crown machined out of King Gold. It is also set with semi-precious stones, including yellow sapphires, orange sapphires and tsavorites, with the same colors as the video for the “X (Equis)” song. The third version may be the most impressive, with its King Gold case, and the baguette-cut setting at its flange, middle and at the NJ logo. The strap clasp also touts dazzling baguette-cut diamonds, totaling no less than 307 diamonds in total and a weight of 16.9 carats. Owners get a choice between black Alcantara or alligator-dyed straps, the second coming in red, yellow and green.